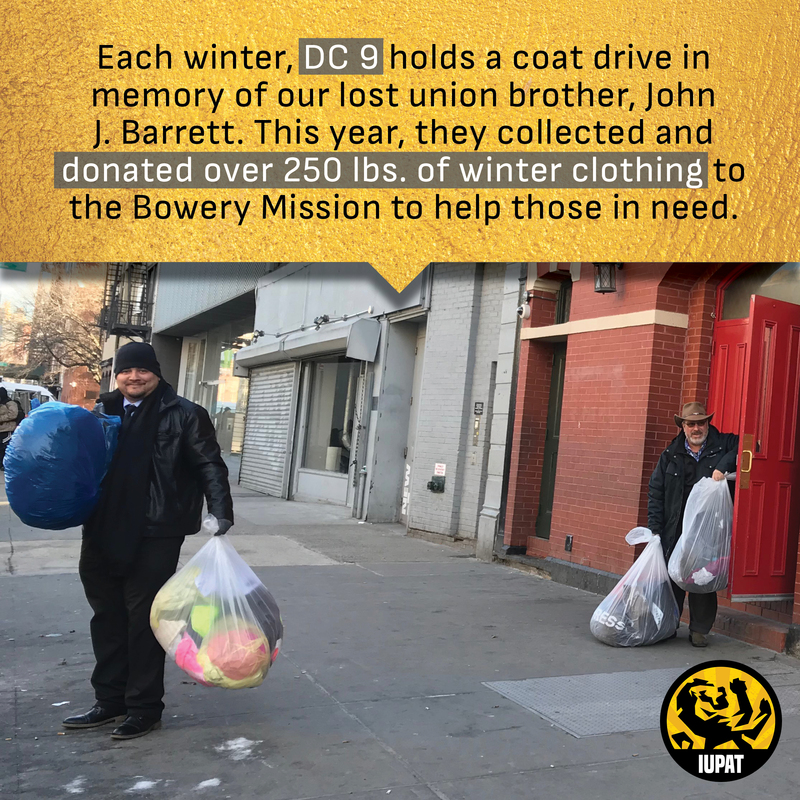 Each winter District Council 9 holds a coat drive in memory of our lost Brother John J. Barrett. This year, we collected and donated over 250 lbs of winter clothing to the Bowery Mission to help those in need of warm clothing this winter. The Bowery Mission has served homeless and hungry New Yorkers since 1897 and works to aid men, women and children caught in the cycles of poverty. District Council 9 is proud to come together to give back to the community and to those in need this winter.